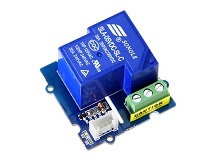 We have released various types of relays on our website. You may find it difficult to make a choice. We feel you pain, let's talk about what's the difference between all those relays, and what's the advantage or disadvantage among them. For all the relay in our bazaar, please click bazaar relay tag to check. 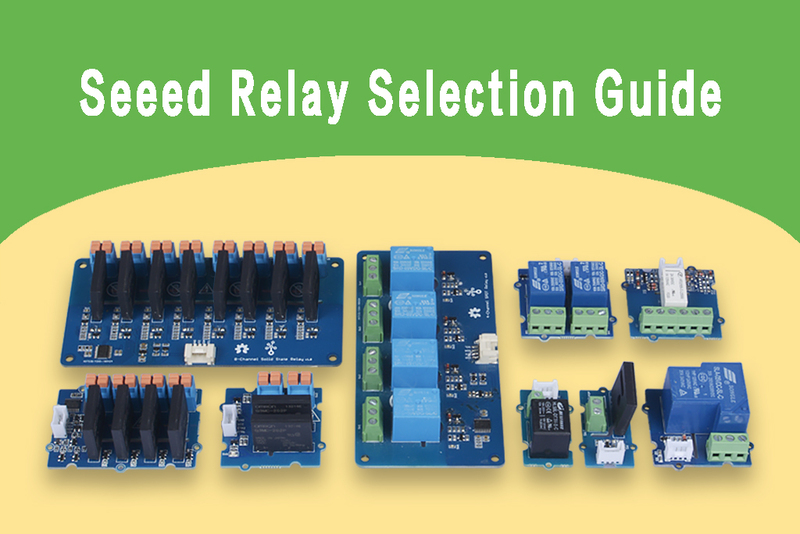 Before the start, let's check the seeed relay quick selection diagram. For more detail, please refer to the following table, perhaps, all you need is just a table. 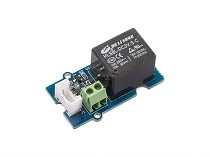 Grove - Solid State Relay 3V-5V 16mA Min. Each contact connects to an input or output terminal. The input terminal is called Pole, and the output terminal is called Throw. According to the number of terminals, the relay is divided into several types. which is SPST,SPDT,DPDT, and so on. 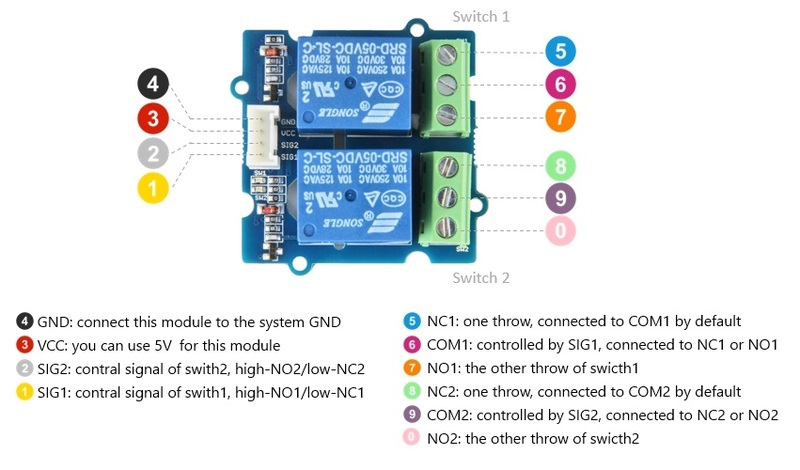 SPDT relay is ofen called A/B swicth, as you can see in the figure 3, there are two throws, this kind of relay is great for selecting between two options. You may find that these two throws are called NC and NO respectively, and the pole is called COM. NC means normally connected, NO means normally open. Which means if there is no trigger signal, the NC terminal will be connected to the COM terminal, once the trigger signal comes, the NC terminal will be disconnected and the NO terminal will be connected to the COM termianl. 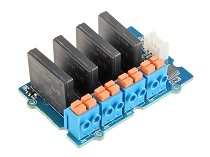 For instance, you can refer to our Grove - 2-Channel SPDT Relay. 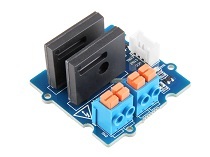 We only have SPST and SPDT relays in our website now, if you want to check other types of relays please refer to the relay page by NATIONAL INSTRUMENTS. 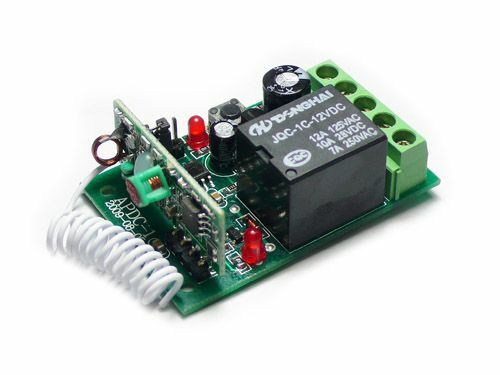 Latching Relay is a relay that is set (ON) or reset (OFF) by the input of a pulse voltage. 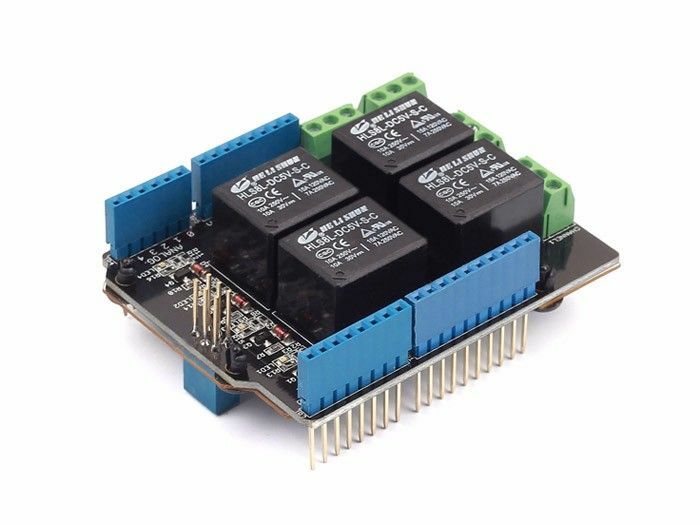 Even after the input voltage is interrupted, this relay maintains its set or reset condition until it receives the next inverting input. It is also called a keep relay. 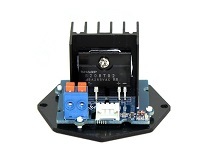 Conversely, a non-latching relay maintains its state only while being actuated, most of relays in our website is non-latching relay except the Grove - 2-Coil Latching Relay. 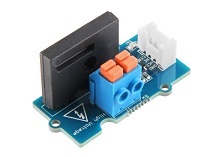 Although there are more than a dozen relays in our website, in general, there are only three types: Electromechanical Relay, Solid State Relay and Reed Relay. You can see the classification information in the last column of Table 1. Most relays in our bazaar are Electromechanical Relay. Normally a Electromechanical Relay is consisted of coils, armatures and contacts. When the coil is energized, the induced magnetic field moves the armature, which opens or closes the contact. 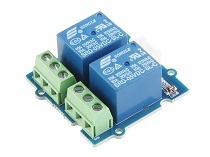 Solid State Relays is also known as SSR, which is an electronic switching device that switches on or off when a small external voltage is applied across its control terminals. Solid state relays typically use semiconductor devices to switch the conduction and disconnection of high voltage loads. 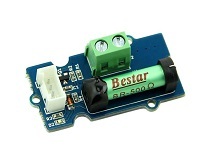 Normally a Solid State Relay is consisted of a LED driver and a photosensitive MOSFET. When the trigger signal comes the LED light up to actuate the photosensitive MOSFET, then the high voltage circuit will be turned on. Fast switching speed, the switching time is dependent on the time required to power the LED on and off—approximately 1 ms and 0.5 ms. For instand the G3MC202p serial SSR we use is ½ of load power source cycle +1 ms.
No physical contacts means no sparking, allows it to be used in explosive environments, where it is critical that no spark is generated during switching. Contact resistance is relatively large, usually above 100 ohms, which will generat more heat, so it need to be used with fan heat. 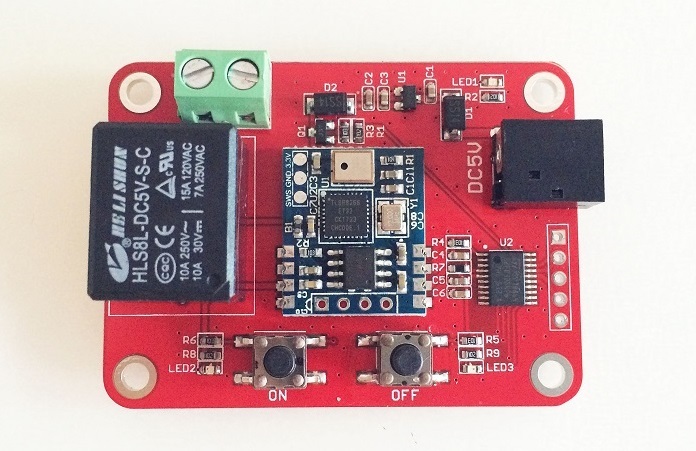 Please note that some kind of solid state relays support DC load, but all the solid state relays currently sold by seeed do not support DC load. 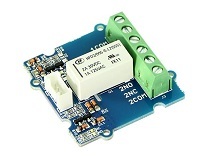 Reed relays are switches that use electromagnets to control one or more reed switch. The contacts are of magnetic material and the electromagic acts directly on them without requiring an armature to move them. Sealed in a long, narrow glass tube, Fill the glass tube with inert gas so that the contacts are protected from corrosion. As shown in Figure 7, there is no axial magnetic field generated when there is no trigger signal excitation, the reed blade will be disconnected because of the rigidity. When the signal is triggered, a transverse magnetic field will be generated and the reed will be magnetized. One contact turns N pole and the other turns S pole, they will be connected. If you need to use reed relay with an inductive load (such as a motor), you need to add a protection circuit between the relay and the load. 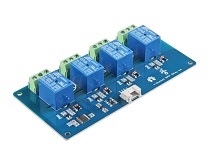 In addition to the typical relays described above, we have several special-function relays in our website. 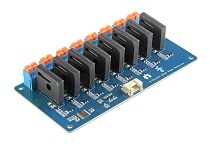 We also provide a relay shield for arduino, this shield integrates four mechanical relays, can carry 8A, 30V load. You can control the relay through a sound command, isn't it interesting!? A wireless relay is a codec-adaptive RF receiver with single channel relay.